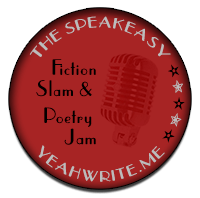 Speakeasy #146–My New Master | Oh Danny Boy! This entry was posted in Flash Fiction, Speakeasy and tagged Flash Fiction, Postaday, Short Stories, Writing by Danny James. Bookmark the permalink. I loved the line, “I have taught my mistress when I have to use the bathroom.” Angus “beef”y-man, great! Hope the dog finds a new family soon and great story! Funny and then sad — I feel sorry for the little pup! I like that you keep his identity hidden for a little while at the beginning. Thank you for the read and the nice comment! Thanks Suzanne. I also think he will find a better crowd. 😎 Thanks for the read and I’m glad I made you laugh. Wonderful voice, though of course, heartbreaking. Poor thing. Thanks for the read and comment. Glad you enjoyed. Well written story, though I quickly developed wariness of this mean stranger when he banished berthas best fried to the dog house. Very good use of the prompt, and I suspect he will survive somehow. At least I hope so. Thanks for the read. I think he will survive also. Well done. I liked your story, and the dog. Oh, how sad! Abandonment is always that way, and that last line prompt doesn’t leave many ‘happy’ options! I was the dog. He abandoned me! No need to apologize. Glad you enjoyed. Thank you! I had fun writing that and I’m glad you enjoyed. That is so sad. Poor little doggy. I love the way you used the point of view of the dog – very enjoyable! This is a sad ending. Well written though. Wonderful story. I specially liked the dog’s dialogue. Is he ever cute. Thanks! He is kinda special! Very emotional. Sympathetic. Love it. Glad you enjoyed and thanks for taking the time to comment!